It all started in 2006 when I first created a site to promote Oracle Application Express (APEX). The site allowed to bet on the games of the World Cup. At that time everybody was using Excel files internally to put the scores together, enter the bets of the people... so I thought why not build it in APEX :) Oh the betting is for fun and honour ... so no money involved! Since then every two years we have updated the site and enabled it again. Today almost 3000 people are playing with us. 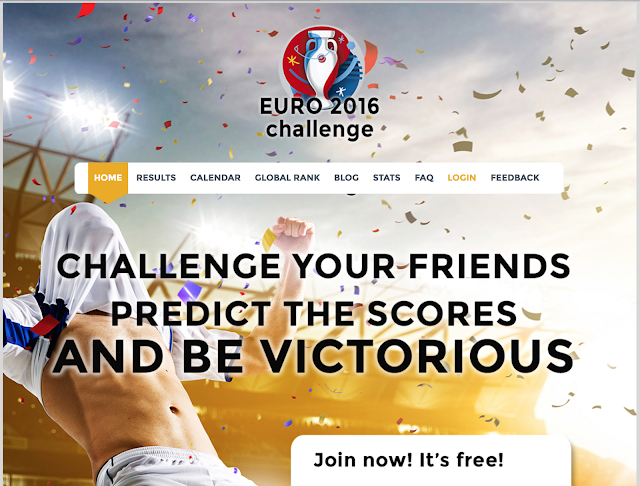 We changed a few times from url; first it was called DG Tournament, than the World Cup Challenge and this year it's the Euro 2016 Challenge. So if you didn't put your bets in, there're a few hours left ... happy betting and that the best may win! Interactive Reports (and Grids in 5.1) are one of the nicest features of Oracle Application Express (APEX) as it allows an end-user to look at the data the way they want, without needing a developer to change the underlying code. End-users can show or hide columns, do calculations on columns, filter etc. 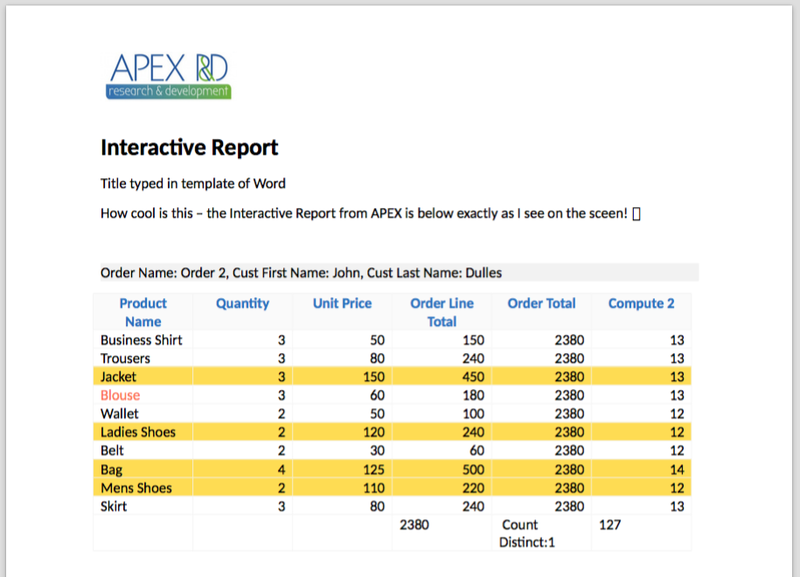 Here's an example of an interactive report where highlighting, computation and aggregation is used. 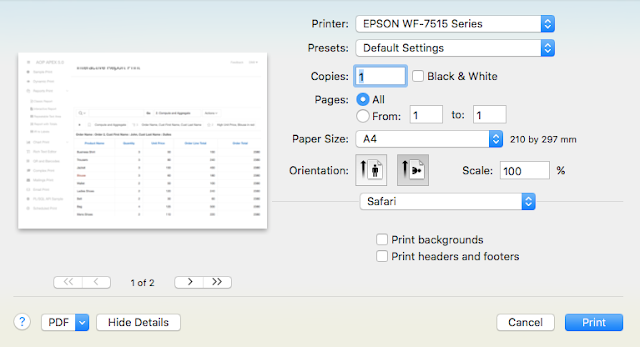 More than once I get the question, how can I export this to PDF or print this Interactive Report? The challenge here's that you would need to add some specific CSS to get rid of the items you don't want to be printed, e.g. the menu, the header and footer and some other components like buttons. Also if you have many columns, they might not fit on the page and the highlighting is not working when printed, but if you can live with that, it might be an option for you. This feature is build-in APEX and relies on a print server supporting XSL-FO; when using ORDS it will automatically work. If you're using Apache, you will need to configure a print server like BI Publisher or Apache-FOP. 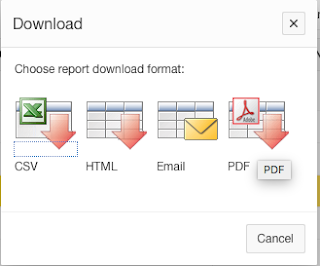 The PDF contains the data and we can specify a header, footer and how the columns look like, but we lost many features of the Interactive Report; no highlighting, no computation or aggregation. 3. Use APEX Office Print to print the Interactive Report in your own template defined in MS Word. 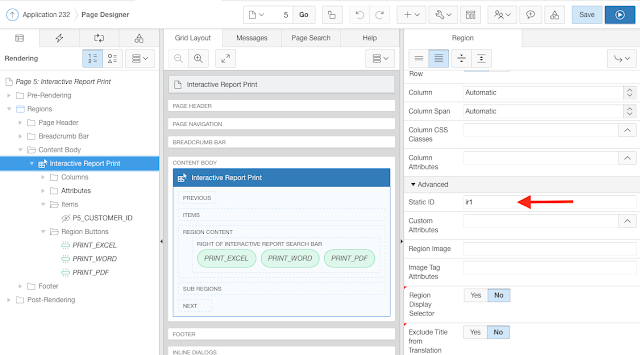 One of the unique features of APEX Office Print is that it's tightly integrated with Oracle Application Express and that it understands Interactive Reports as the source of your data. In your Word template you just add one tag, that's it! In all seriousness, we would really want to hear from you if this feature works for your Interactive Report. You can try AOP for free for 100 days. We're trying to be smart and are doing automatic calculations of the column width, but we probably can improve it even more. 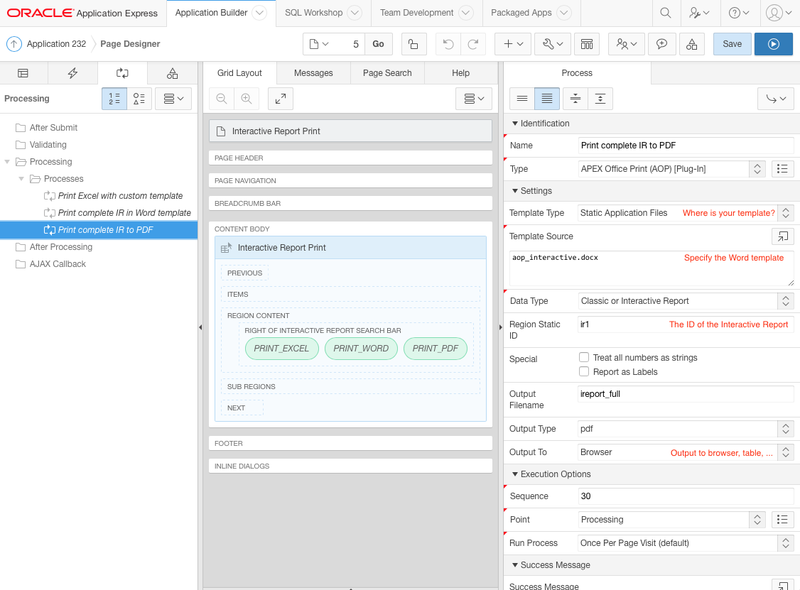 We introduced this feature with AOP v2.0 (MAR-16) and improved it in v2.1 (MAY-16).